Grinding Gear Games recently announced that its free-to-play action role-playing game, Path of Exile, will release on the PlayStation 4 in March 2019. Although fans were excited to receive an update on the long-awaited PS4 version, they were equally disappointed to note that it still doesn’t have a release date. Addressing the concerns on Twitter, Grinding Gear Games has told fans that although development of Path of Exile‘s PS4 version is complete, a firm release date won’t be revealed until two weeks prior to launch due to technicalities. We know many of you are eagerly awaiting a firm launch date for our PlayStation 4 release so we wanted to give you an update about what to expect in the coming weeks. Development has been completed and we are still expecting to launch in mid-March. Because of the technical process of launching on a new platform, we won’t be able to announce a firm release date until around two weeks before the launch. We will let you know as soon as we have that date. We’re very excited to bring Path of Exile to PlayStation gamers. We’re so glad to see that we’re already building a community of eager action-RPG fans on the platform. We can’t wait for you to check out Path of Exile: Synthesis next month! Considering we’re into the last week of February, a release date should be revealed soon. As usual, we’ll update our readers as soon as we have more information. 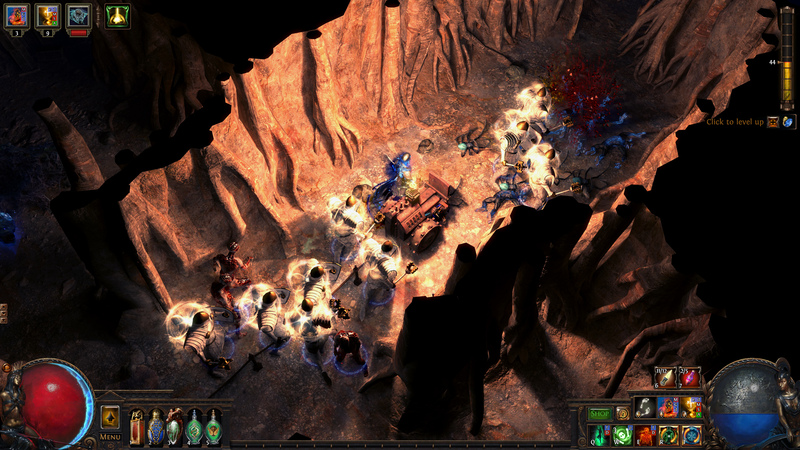 For more on Path of Exile, check out our previous coverage.